Drinking water is a beauty tip that pretty much every celebrity on the planet swears by. We’re 60% water, so keeping the supply topped up is good for us. When we’re hydrated, our bodies work optimally: Our metabolism stays revved up (meaning heightened calorie burn), our skin looks plump and juicy, and we feel energised. Water equals life so, on the flip side, when we’re dehydrated, our bodies will do all they can to retain water in an attempt to prevent dehydration, which can lead to unwanted water retention. And did you know that some types H2O and the ways we drink it can cause bloating? If you down bottles of Evian like they’re going out of fashion or drink sparkling water because it’s healthier than diet fizz, keep reading, because all that water consumption could be causing your unwanted bloating. In a recent article, I called on cabin crew members to share their in-flight beauty tips, and one in particular stayed with me. "Our training advisor said that drinking water straight out of the bottle bloats you more. We pour water into a cup and sip it," said Jayna, who works for Thomas Cook. When you drink water out of the bottle, you're more likely to take down excess air as well, which can cause your belly to bloat, whereas sipping from a cup minimises those chances. Don't believe it? The NHS credits swallowing air as a definite cause for unwanted bloating; it also recommends chewing your food with your mouth closed so as not to take on too much excess air (not to mention it's just good manners to eat with your mouth closed). My Body+Soul recently reached out to accredited practising dietitian Charlene Grosse to weigh in on the subject of fizzy water and bloating. Says Grosse, "Sparkling mineral water simply contains natural gases or has been artificially carbonated by pumping carbon dioxide through it. Therefore, carbonated water can cause a buildup of air that can move down the digestive tract and into the colon, causing bloating and gas." "If you have stomach issues and experience these after drinking carbonated water, you may be better off eliminating it," she says. If you can't shake that bubbly fix, then mineral water beats out soda water or seltzers because it's naturally carbonated. Otherwise, opt for fermented drinks like kombucha, as these are lightly sparkling but aid with digestive health. Dermatologist Howard Murad, MD, is a strong proponent of eating your water. Murad writes on his blog, "When we eat more water-rich foods, we absorb water more slowly because it is trapped in the structure of these foods. That slow absorption means that water in food stays in our bodies longer, with a multitude of additional benefits. "A cucumber is a great example of this. Because cucumbers are 96% water, eating a three-ounce cucumber is almost the same as drinking three ounces of water, but better. Besides being full of hydrating H2O, … [they] contain nutrients, vitamins, minerals and fiber that can improve your health." 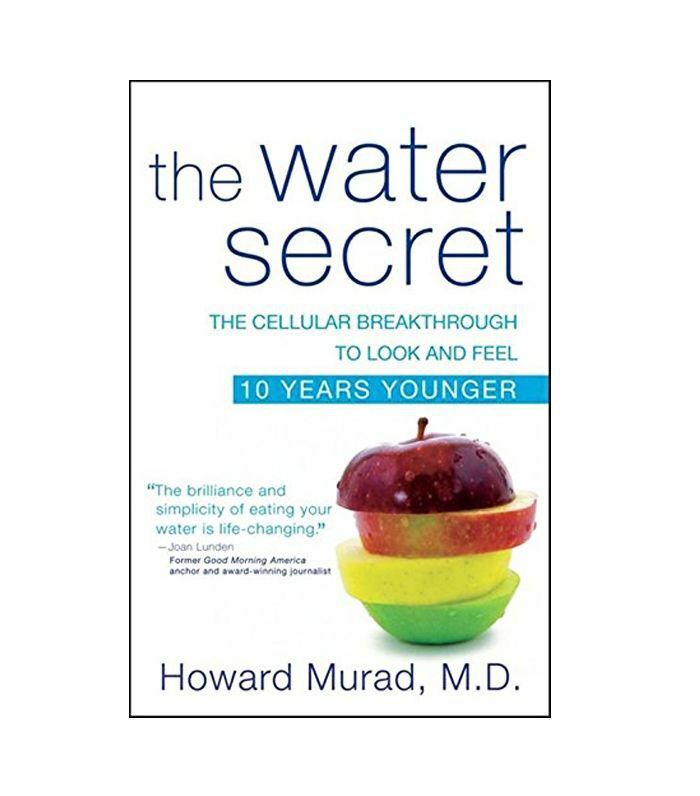 You can read more about eating water in Dr. Murad’s book, The Water Secret. Next up, how to speed up your metabolism (for real).